Trier, Germany (ENInews). A European form of Islam needs to develop before a meaningful interfaith dialogue can take place on the continent, the new leader of Germany's 24 million Protestants has said. "We are only at the beginning of a serious inter-religious discussion on a theologically high level and that is because there are problems with finding counterparts," the Rev. Nikolaus Schneider told ENInews in a 17 November interview in Trier. "The imams who come from Turkey to Germany can hardly speak German and that means that we need to train imams in Germany at our universities," said Schneider, who was elected the new chairperson of the Evangelical Church in Germany (EKD) on 9 November during a meeting of its governing synod in Hanover. He had been the EKD's acting leader since February, when his predecessor, the Rev. Margot Kässmann, stood down after a drink-driving offence. Schneider said that one of his priorities in his new post is to set up as soon as possible a meeting with representatives of Islam in Germany, which has about four million Muslims. In recent weeks an intense debate has raged in Germany about the willingness of Muslim immigrants to integrate and learn the language. A book claiming that Turkish Muslims are not willing to integrate reached the top of the non-fiction bestseller list. In a speech to mark Germany's 1990 unification, the country's President Christian Wulff also stirred controversy when he stated that Islam is part of Germany, alongside Christianity and Judaism. Schneider told ENInews he welcomes the newly established Islam theology faculties at three German universities, as well as efforts to introduce religious education in Islam at schools. In most of Germany, religious education is an obligatory part of the curriculum with separate classes for Protestant, Roman Catholic and Jewish students. There are however no classes for Muslim students. "We need an Islam that has an academic formation in our country and at our universities, an Islam that is able to enter into dialogue with the social sciences and with the natural sciences in our country," said Schneider. Referring to imams, he said, "They don't know our cultural background, and they cannot preach in such a way so that they can provide orientation to the conditions of our society, but they preach as if the people are still living in Turkey." 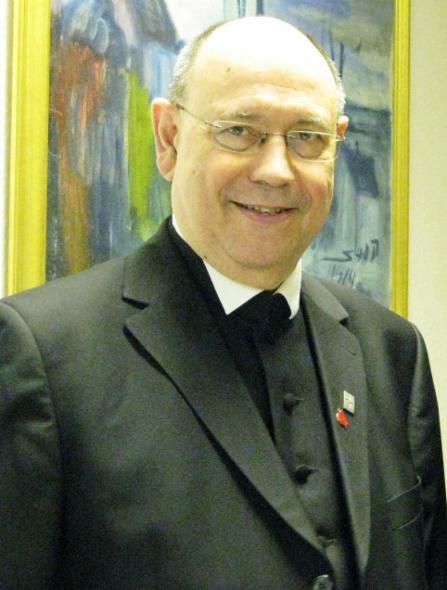 Schneider is also president of the Evangelical Church in the Rhineland, one of the 22 regional Lutheran, Reformed and United churches that make up the EKD. On 20 November, he was a special guest at the Vatican of Archbishop Reinhard Marx of Munich and Freising who was installed as a cardinal by Pope Benedict VXI. Marx is the former bishop of Trier that is within Schneider's Rhineland church area and they worked together during Marx's tenure in Trier. ENInews is published by Ecumenical News International, PO Box 2100, CH - 1211 Geneva 2, Switzerland.